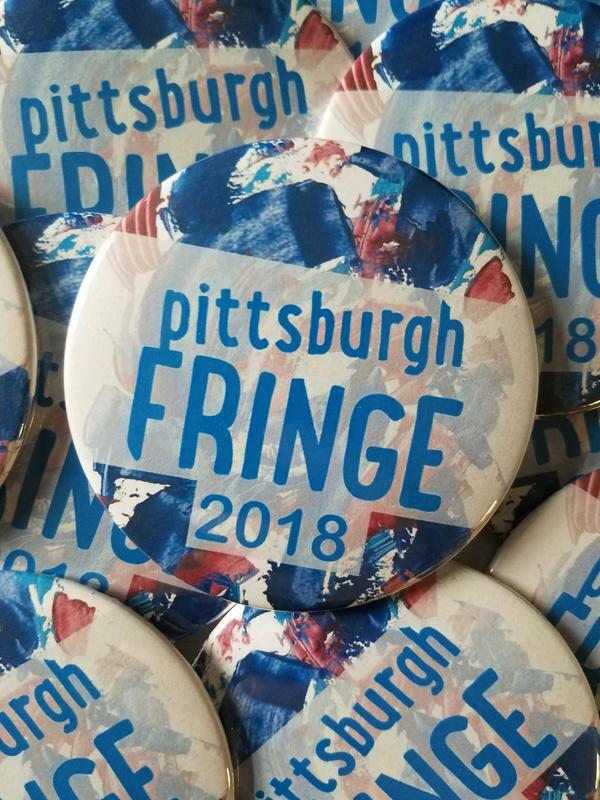 Want to be recognized as a member of Pittsburgh Fringe? Want to get discounts on shows? Want access to Fringe Club on Saturday and Sunday, including free access to StorySlam and the Award Ceremony? Then buy a button!! Curate your own festival, be your own artistic director, and go see shows! During the festival just go to St. Mary's to pick up your button before your first discounted show. You will need your "ticket" to pick up your button, and you will be asked to show the button at each button discounted show. Buy a button for $5 and get $3 discounts on as many shows as you want. You just have to wear your button to the show if you are presenting discounted button tickets. You must show your button to get into Fringe Club, StorySlam, Bands and Music events in Fringe Club, and the Award Ceremony. Just print our your "ticket," or show us your "ticket" at a venue before a show (St. Mary's or Unitarian Church) and we can get your button for you!